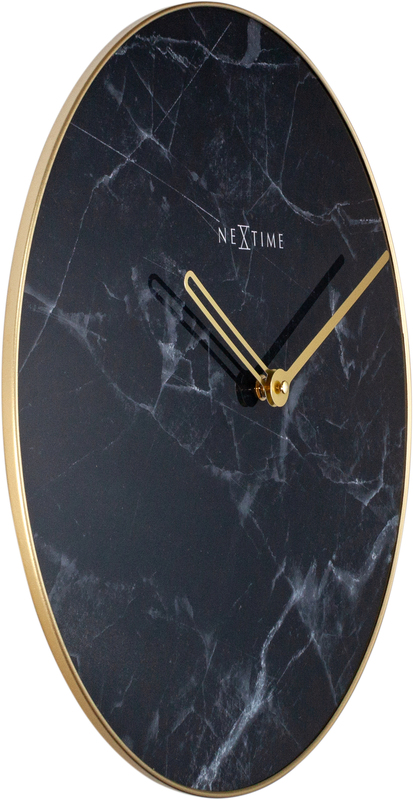 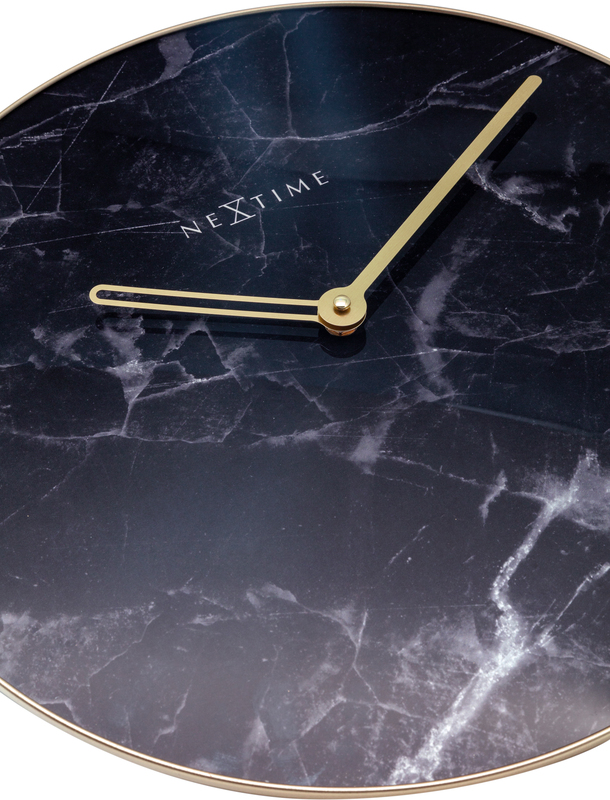 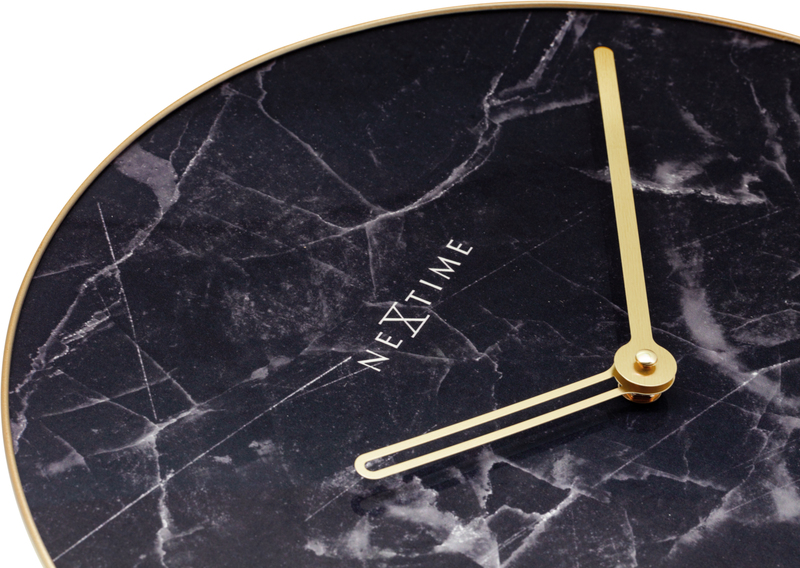 The NeXtime Marble wall clock gives you the luxurious look of black marble. 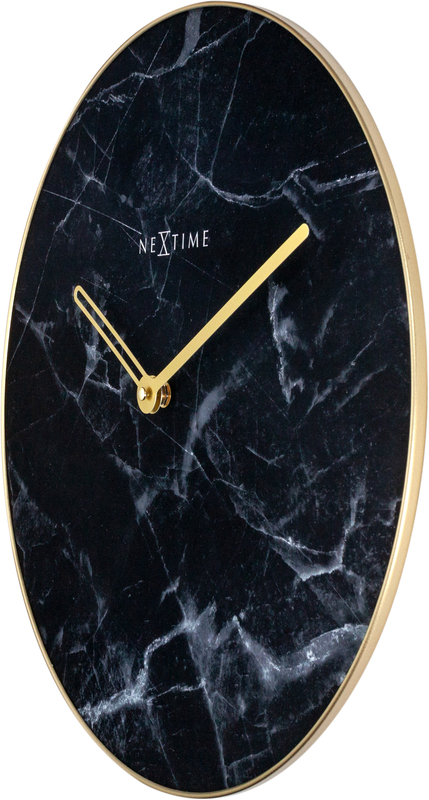 Made of glass with beautiful gold hands and gold edge, this silent clock will complement contemporary or traditional interiors. 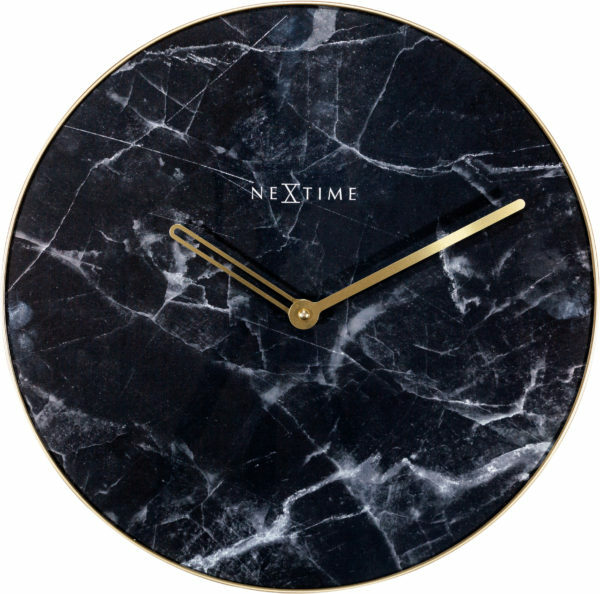 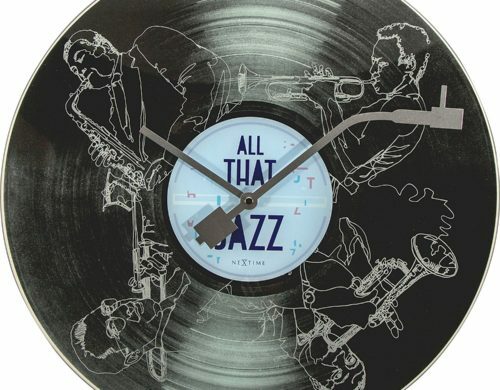 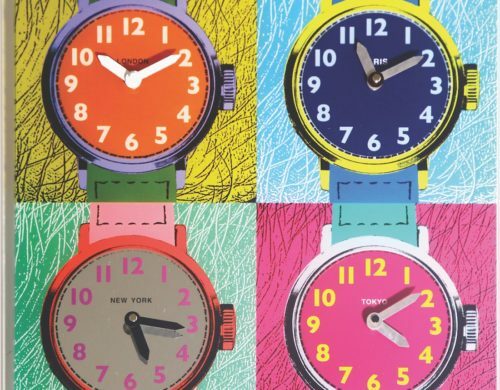 With this clock you can implement the trendy marble print in a casual and simple way. 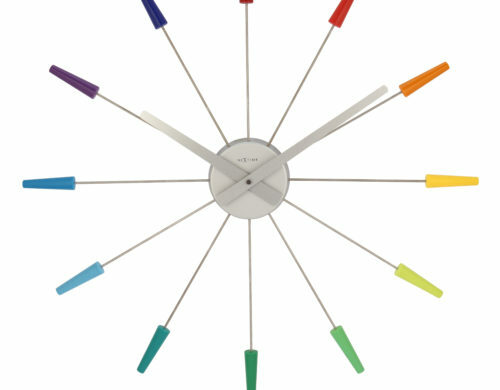 Battery operated.